Get ALL our stunningly original 3D printed Elf products from our spring 2018 kickstarter. This product includes the Infinite Elf Fort, the Elf Temple, and the versatile Elf Treehouse. It uses OpenLOCK connectors use with our Open  Peg system for vertical stacking. Our BEST DEAL for elf content! We are fanatical part testers and are alway improving quality control to eliminate any end user issues. However, If you still find issues just reach out using the email above. You can also join my Open_Peg development group on Facebook to voice any issues, or if you just want to see the CS in action before buying. All of our parts will print on a bed that has a 6.5 inch by 4.5 inch XY bed. Larger pieces are designed to print on 8×8 beds but will come with a version for smaller beds. Models are tested on and GUARANTEED for Sli3r (including Prusa Control), Cura, and makerware/desktop. Our buildings are NEVER just ONE building. 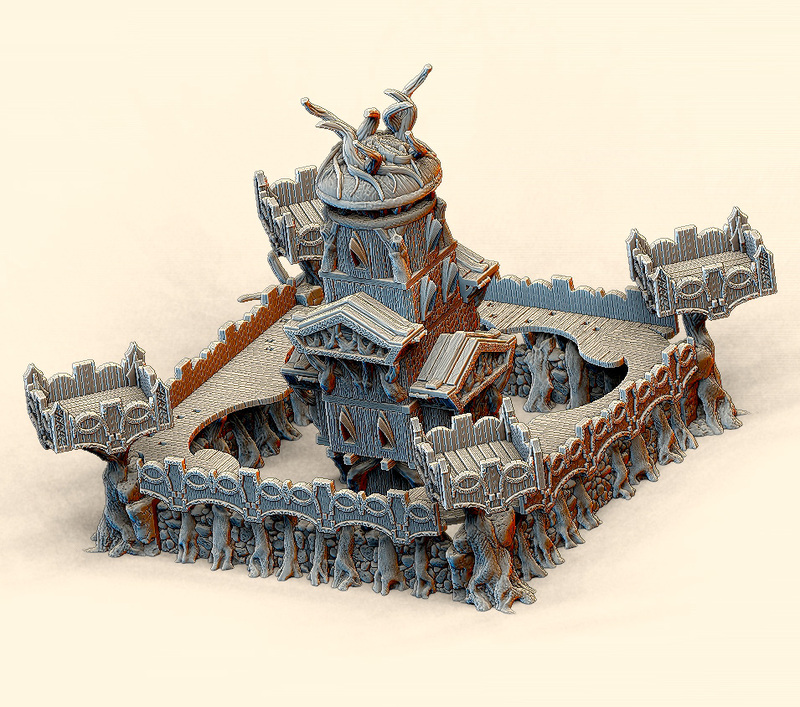 Any 3D Model Building, fort, or castle showcased on our site is merely an example. ALL of our buildings are designed to make many variations. In some cases, the options number in the dozens. We have developed our own vertical stacking system ( Open  peg ) that we use in tandem with OpenLOCK Connectors to maximize the possibilities. 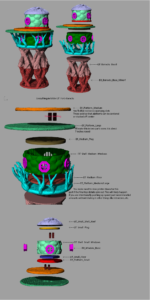 Our STL Models are all HIGHLY detailed and will continue to be relevant as 3D printing innovates and improves. ur models focus on dark fantasy settings. The generous wall and walkway designs are ideal for wargames like Warhammer and skirmish games like Chainmail. 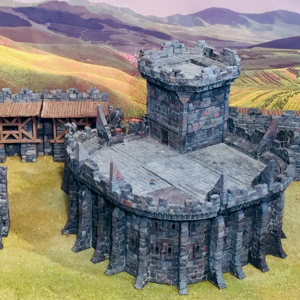 Many of our fort designs could even see use for gladiator games or Blood Bowl. 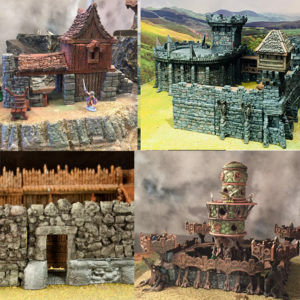 Our models are also great for all manner of tabletop roleplaying games like Dungeons & Dragons, Pathfinder, or Frostgrave.